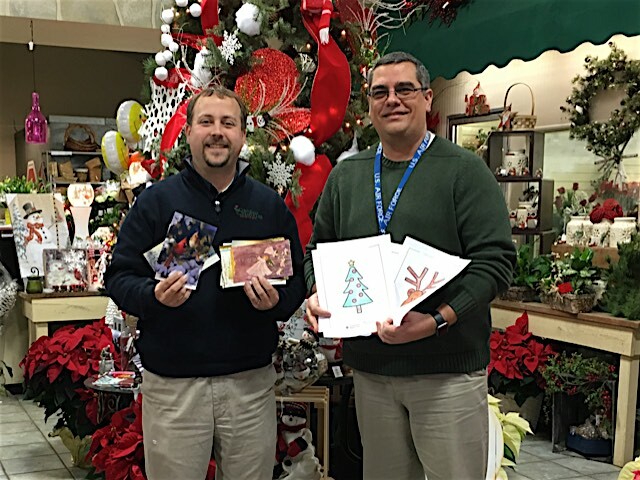 Connells Maple Lee has presented approximately 100 holiday cards and coloring pages for active military and veterans to the American Red Cross as part of the latter’s “Holidays for Heroes” program. From Nov. 11-23, Connells Maple Lee invited the public to donate the items, which are destined for military installations, VFWs, American Legions, VA hospitals and retirement homes in 45 counties in the Red Cross’ Ohio Buckeye Region. Photo: From left, Andrew Royer, regional manager, Connells Maple Lee, and Craig Nagy, regional director, service to the armed forces and international services programs, Ohio Buckeye Region of the American Red Cross. Connells Maple Lee will collect cards and coloring pages for active military and veterans in each of our stores Nov. 11-23 as part of the American Red Cross’ “Holidays for Heroes” program (formerly Holiday Mail for Heroes). Collected cards and coloring pages will be handed over to the Red Cross, whose volunteers will organize them for delivery. 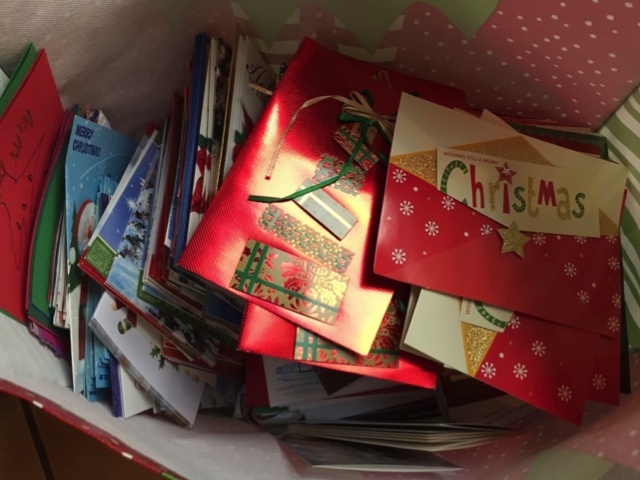 Connells Maple Lee will collect cards and coloring pages for active military and veterans in each of its stores Nov. 11-25 as part of the American Red Cross’ “Holiday Mail for Heroes” program. Join us for our annual holiday open house. All of our stores will be open 8 a.m. to 5 p.m. Saturday and 10 a.m. to 3 p.m.
From Nov. 17 through Dec. 5, Connells Maple Lee stores will collect holiday cards and coloring pages that the Red Cross will deliver to service members, veterans and their families. Cards may be dropped off during normal business hours.